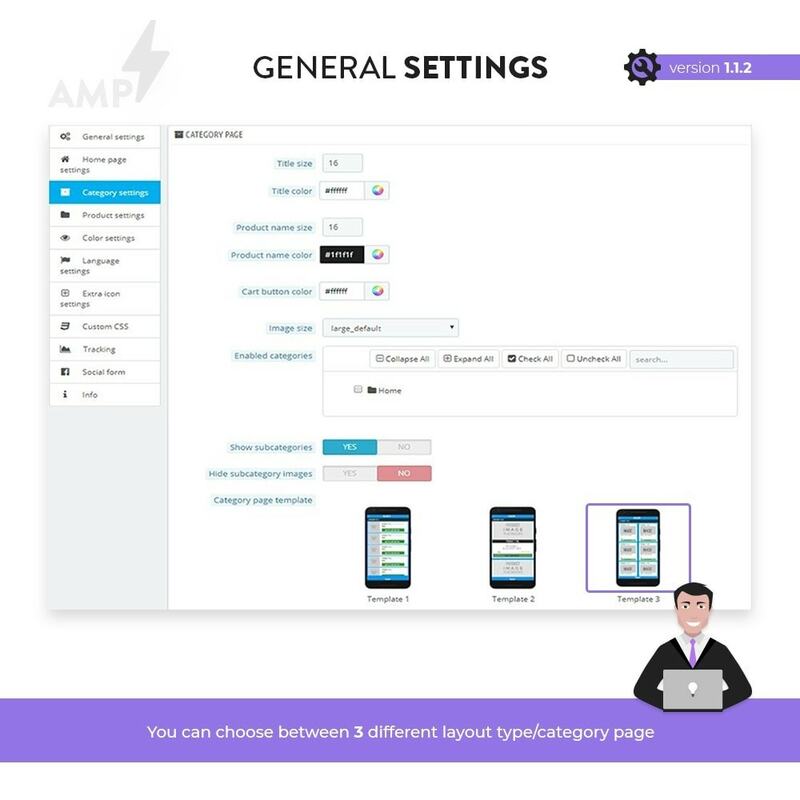 You've always been wondering how to create efficient and straightforward mobile page. 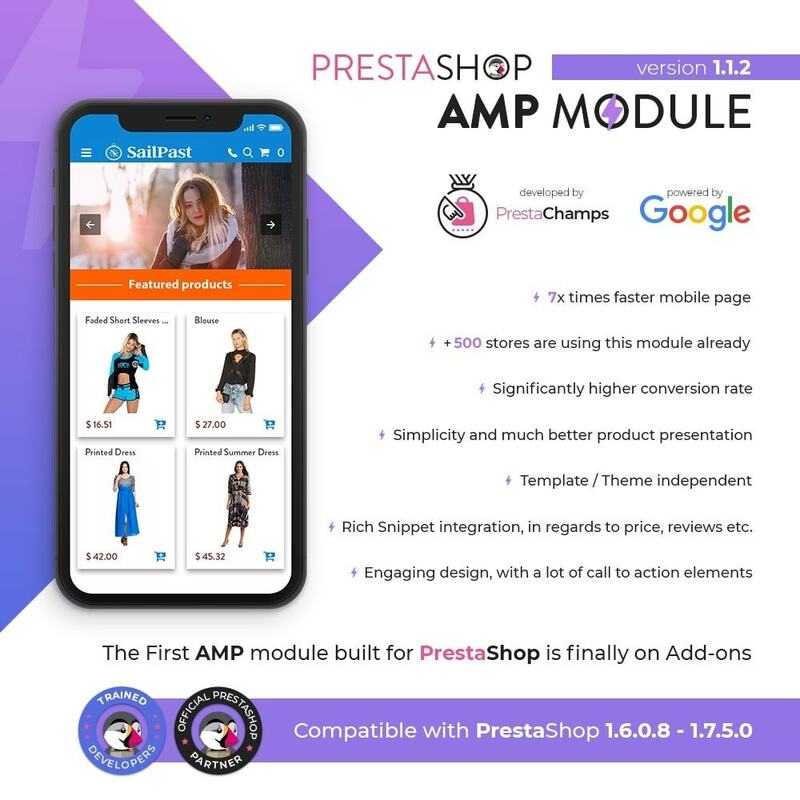 If you're checking this module, it means that you already know that more than 60% of your customers are coming from a Mobile device, the problem is always how to turn them to buyers or customers. 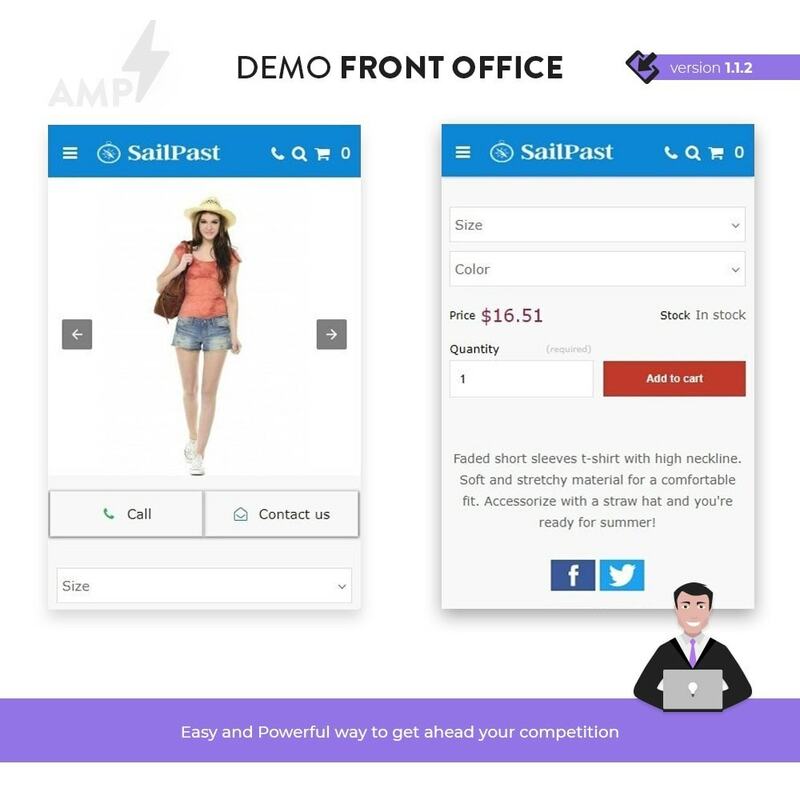 Speed and functionality (simplicity is the key), have always been the two major factors when it comes to sales. 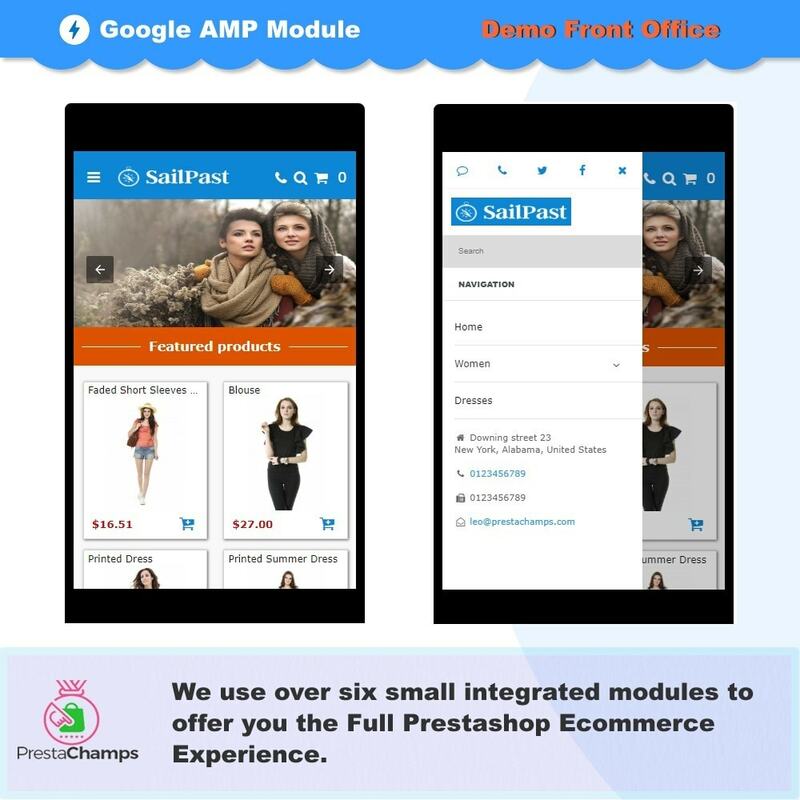 We tend to overcomplicate things, and we forget that people checking stuff on mobile are time-dependent, they need the essentials, and motivation to make the purchase. 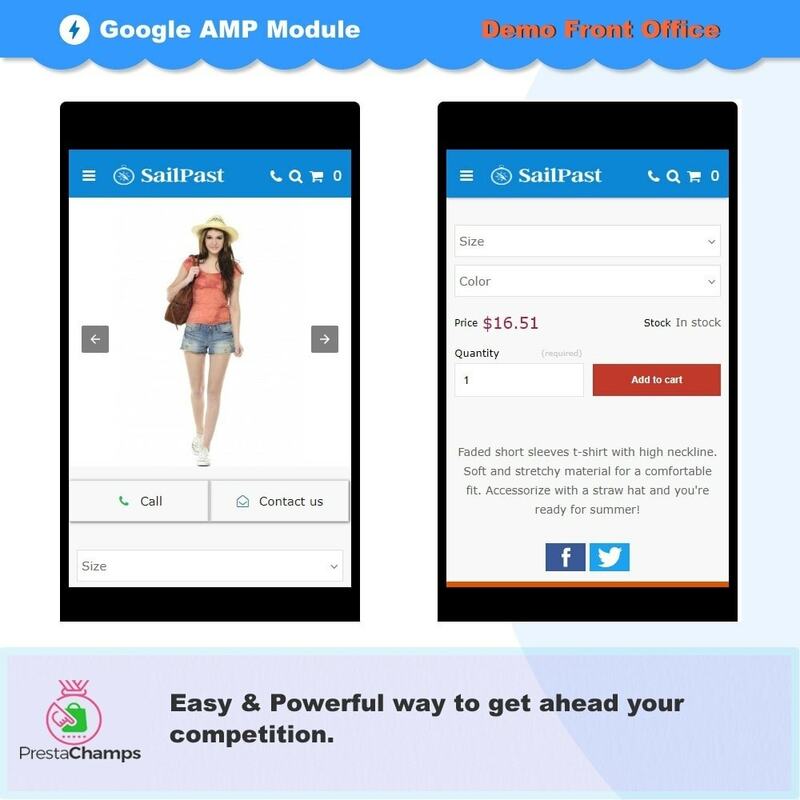 2.Boost your mobile results into the TOP placements in Google Mobile Search. 3. Significantly higher conversion rate. 4. 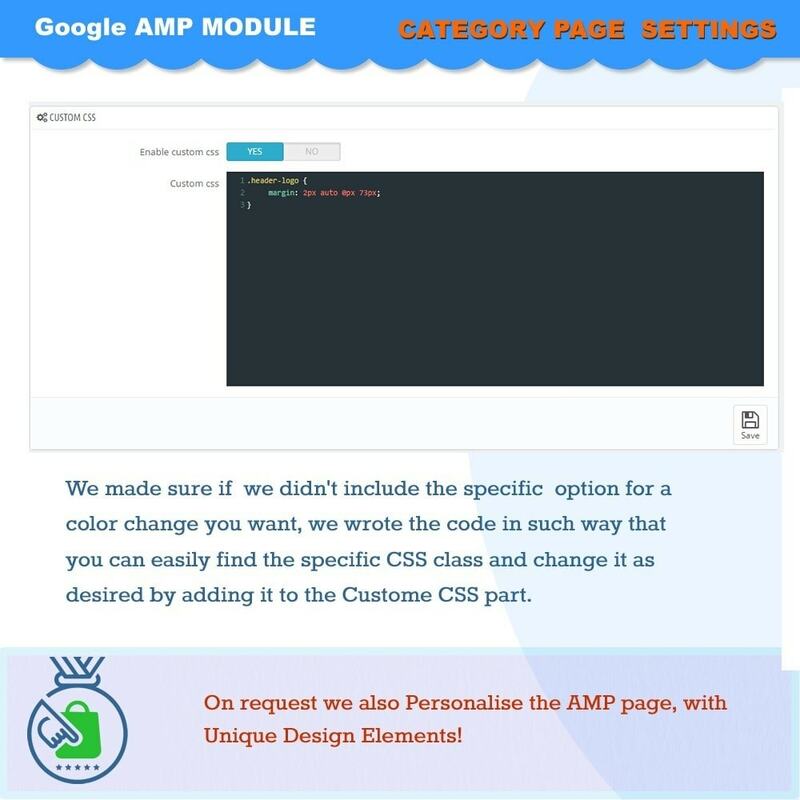 We know that templates are always an issue, so we created one for you for free. 5. 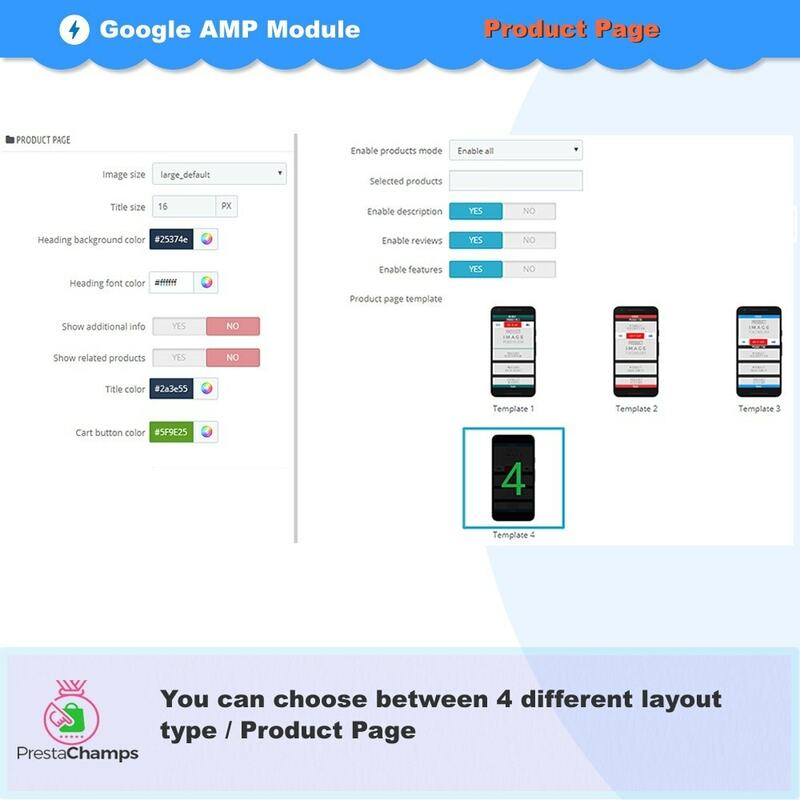 We created 3 category and product page types, which allows you to conduct A/B tests based on Google Optimize. 6. We have the most fantastic support out there, and we continuously develop our module. 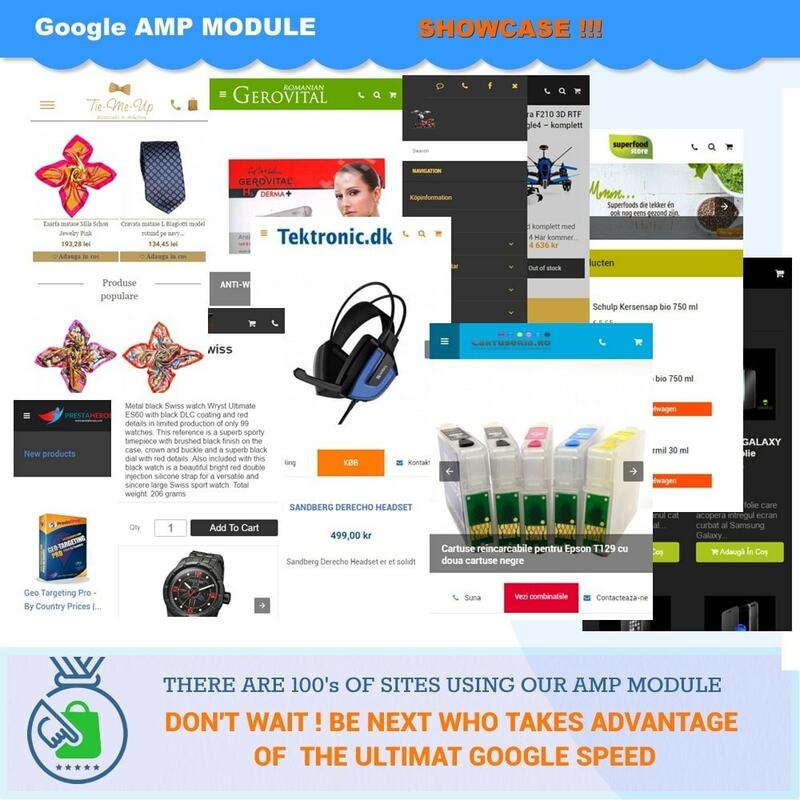 Our Goal is to offer you the most comprehensive AMP theme and Module out there. 7. 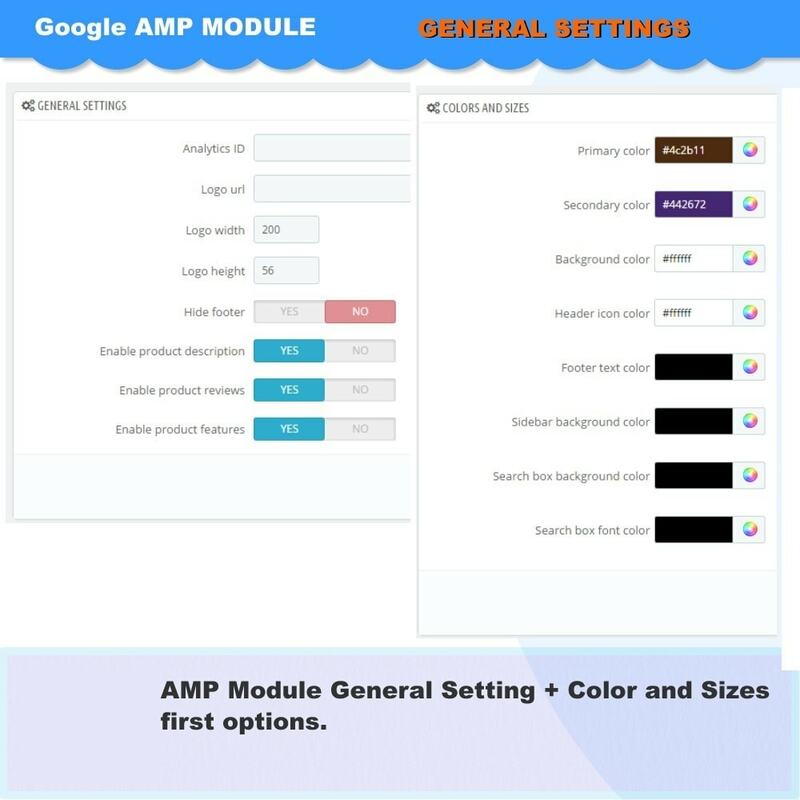 Google Already announced that he's testing the AMP version on Tablets. Stay tuned to the new demands. 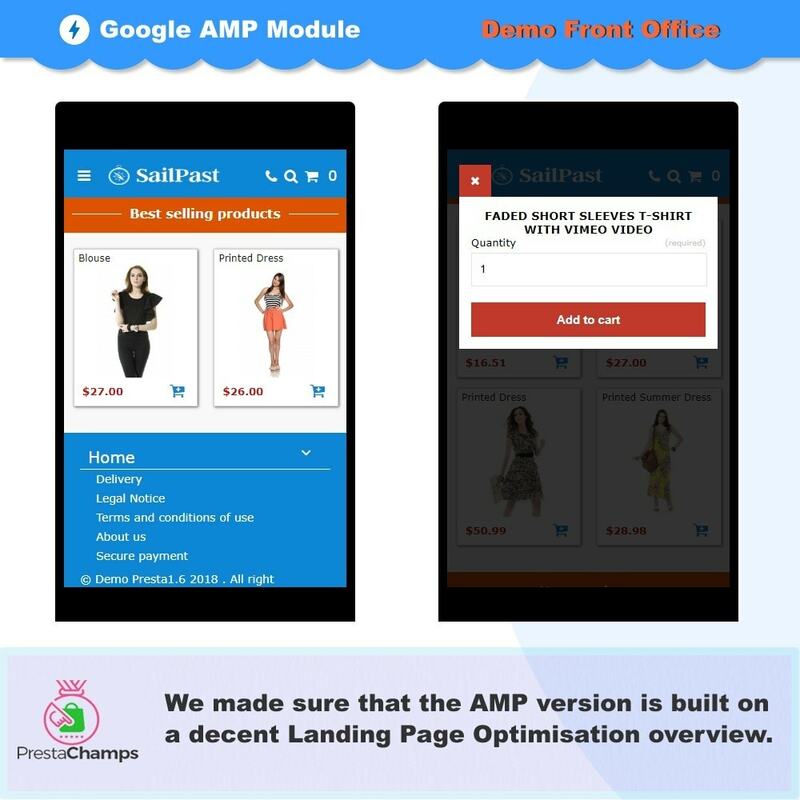 AMP version for the: Product Page, Category Page, Home Page, Search Page, CMS pages, Search Results. 4 different layout variants for the Product page - much better than the original PS ones. 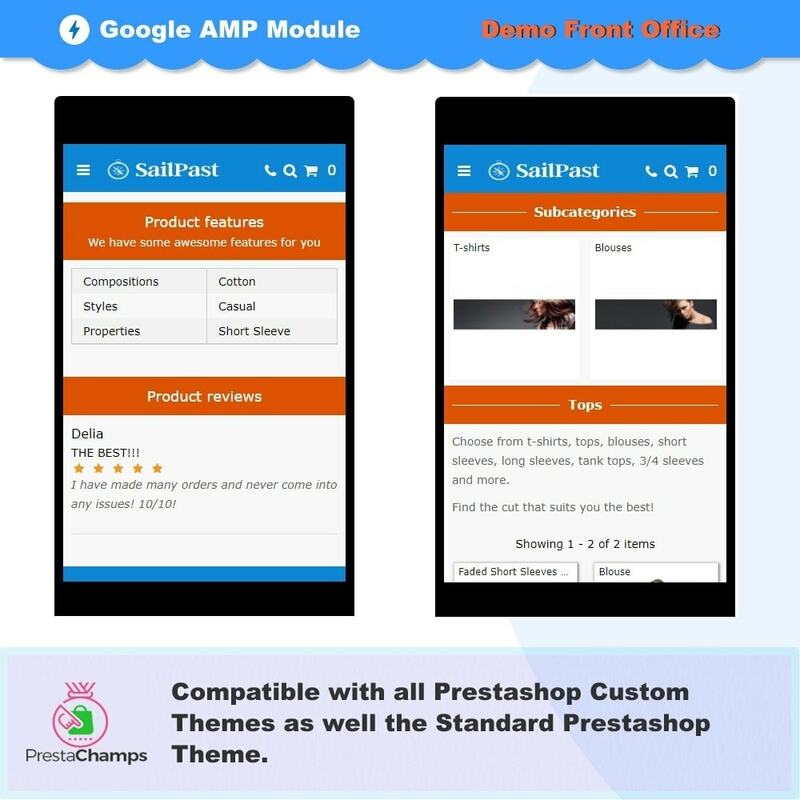 Template/Theme independent! - Will work with all themes- We can guaranty you that. 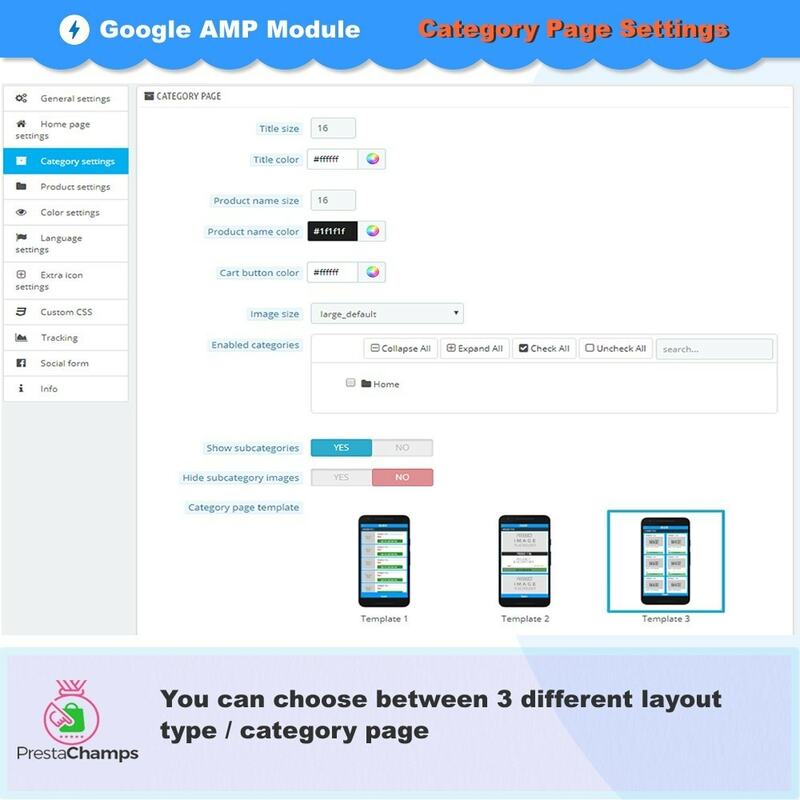 3 different designs for the category pages. 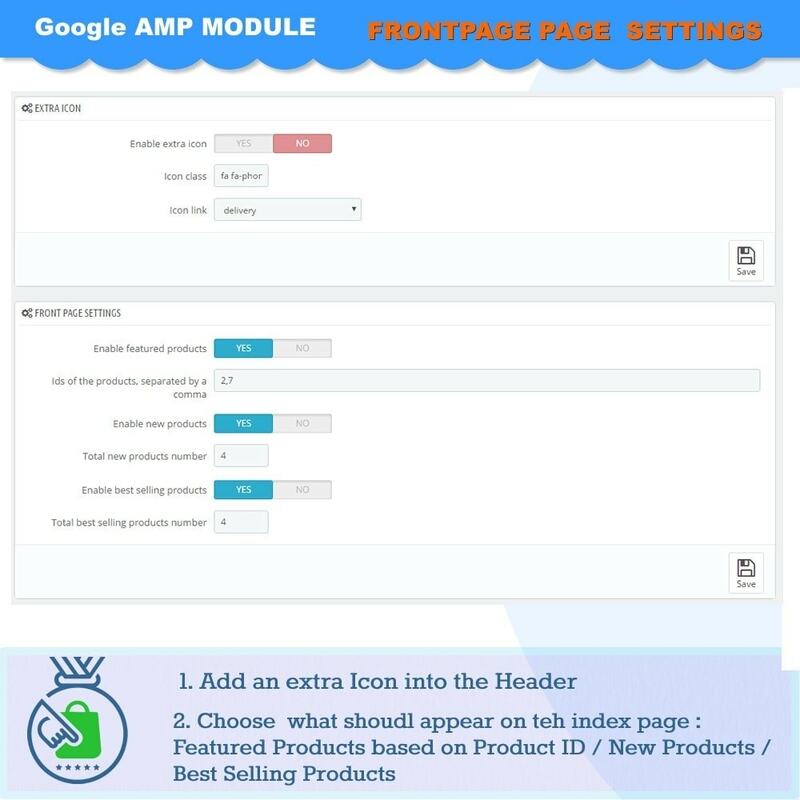 Homepage holds 3 mini-modules, allowing you to set the featured, bestseller and new products even based on ID. 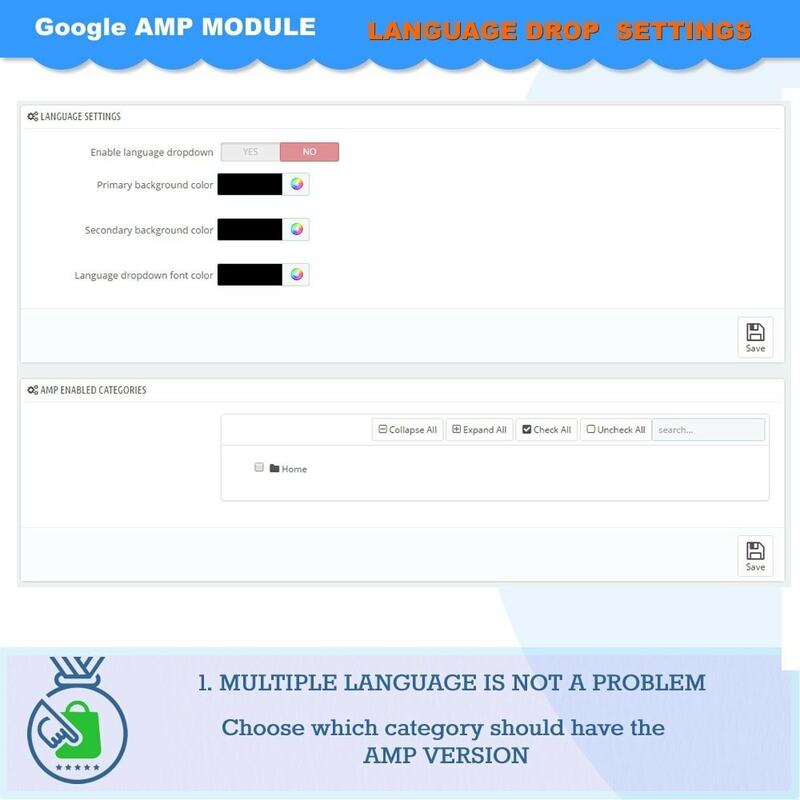 AMP cache cleaner to fasten up Google caching. Popup based add to cart. 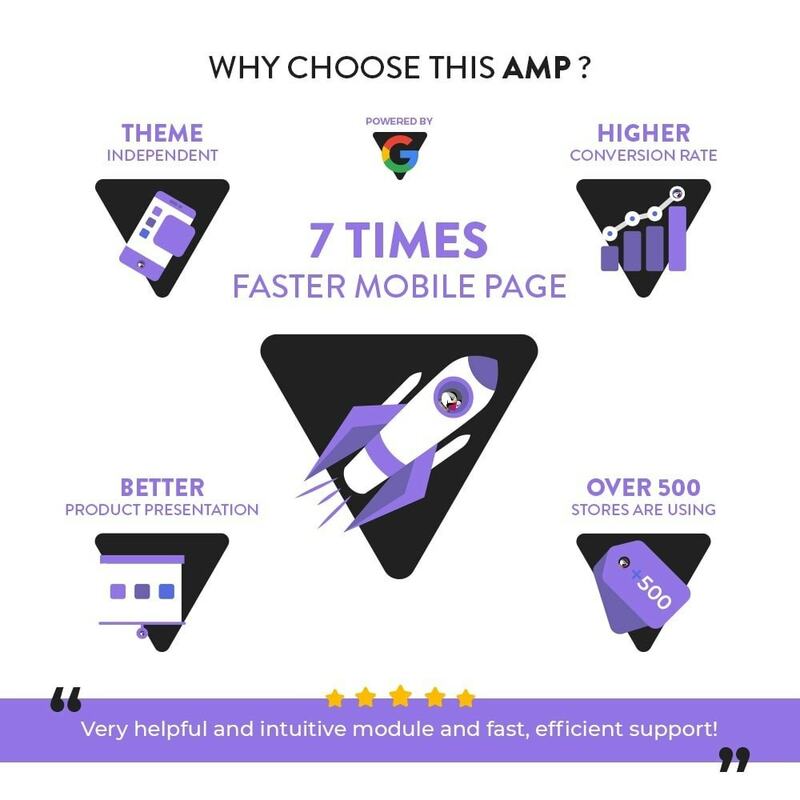 It is now possible to force the AMP version for all users who access the site from mobile! 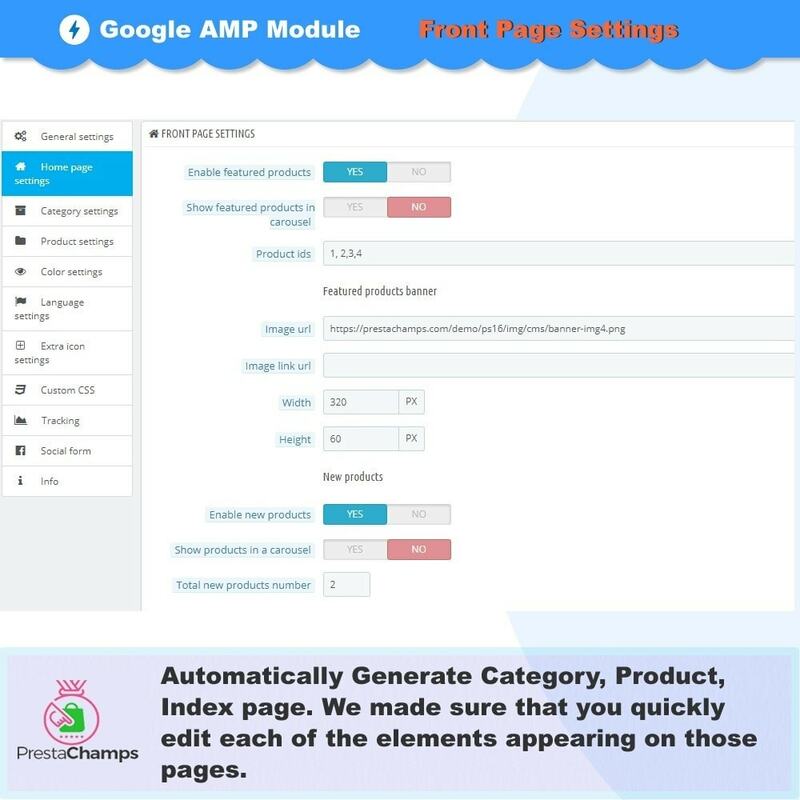 Rich Snippet integration, in regards to price, reviews etc. 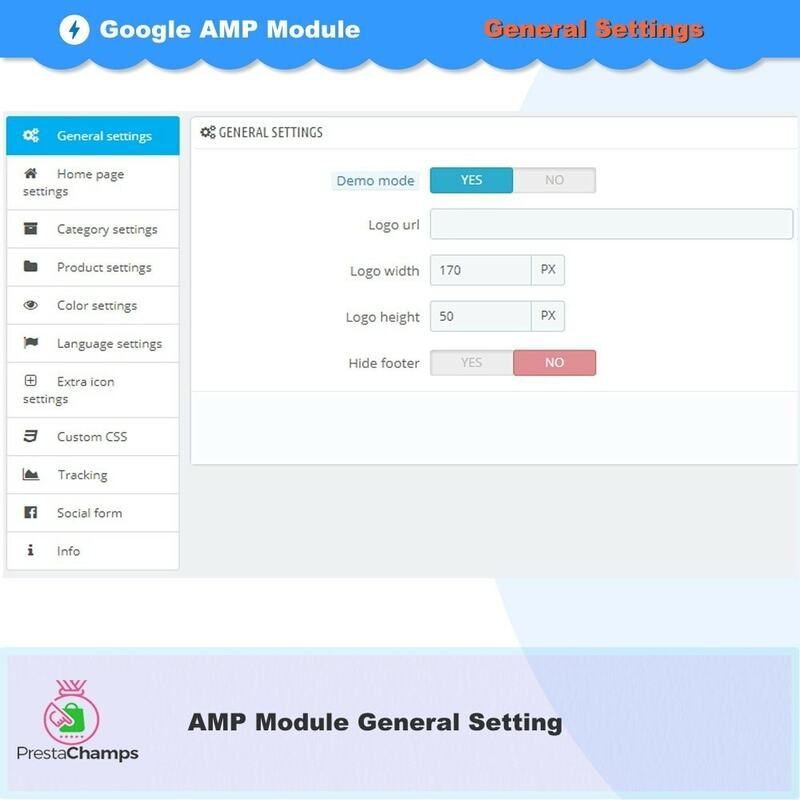 Standard module installation process required. 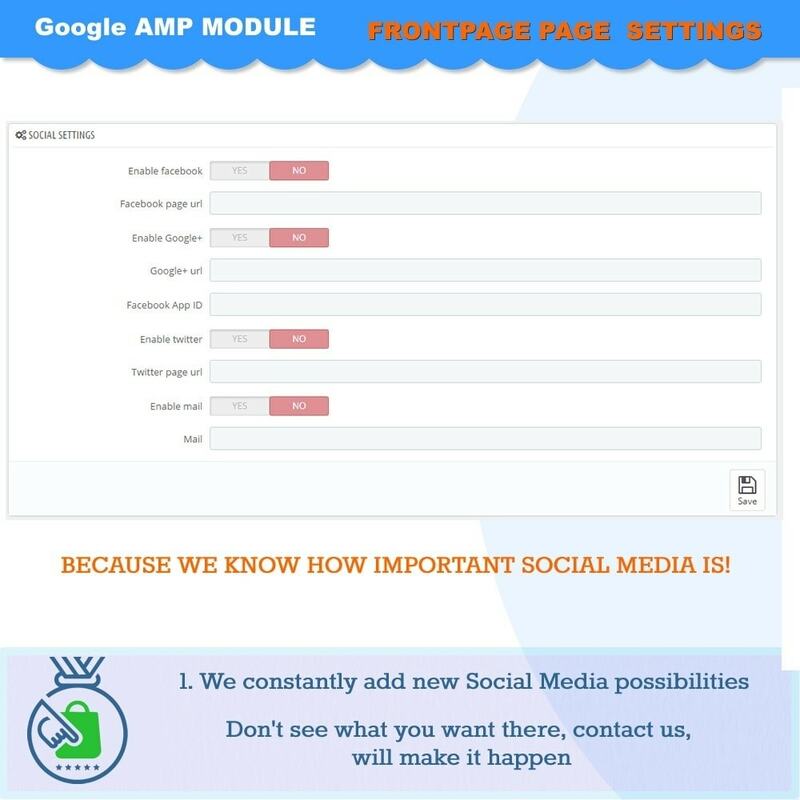 The Module has a 30-page long well-documented description to allow you to benefit entirely from the module options.Along with that to Sweeten up things, we Offer a FREE IMPLEMENTATION - if requested.